The proposed share sale of 5 per cent in NTPC would fetch the government Rs 5,565 crore while that of 10 per cent in IOC would bring in Rs 7,932 crore. The Cabinet has approved proposals to divest its 5 per cent stake in state-owned NTPC and 10 per cent in Indian Oil (IOC), which may fetch the government over Rs 13,000 crore at current market price. The proposed share sale of 5 per cent in NTPC would fetch the government Rs 5,565 crore while that of 10 per cent in IOC would bring in Rs 7,932 crore. Thus, the stake sale in both companies would help the government mop up over Rs 13,000 crore. The government holds 74.96 per cent in NTPC and 68.57 per cent in IOC, according to the BSE data. 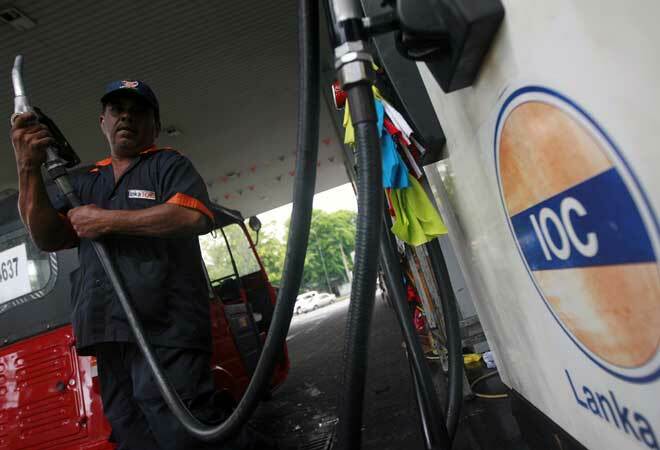 "The Cabinet has approved 5 per cent disinvestment in NTPC and 10 per cent in Indian Oil Corporation (IOC)," a source said after the Cabinet meeting in the national capital. According to Bombay Stock Exchange (BSE) data, the market capitalisation of NTPC stood at Rs 1,11,313.77 crore while that of IOC was Rs 79,321.21 crore as of Wednesday. The government has budgeted to raise Rs 41,000 crore through PSU stake sale in the current fiscal and another Rs 28,500 crore through strategic stake sales. NTPC was trading down 4.28 per cent at Rs 135.45 and IOC fell 1.79 per cent to Rs 326.85 at noon.